Brad Keselowski couldn’t stick around long to discuss his track-record pole speed for tonight’s Sprint Cup Series race at Kentucky Speedway in Sparta, Kentucky. After all, he had to jump in another Ford he drove to the pole for Friday night’s Nationwide Series race just hours before. It was that kind of the day for the 2012 NASCAR champion, who had a lap at 188.791 mph the third knockout qualifying segment to take the pole for the 400-mile race. 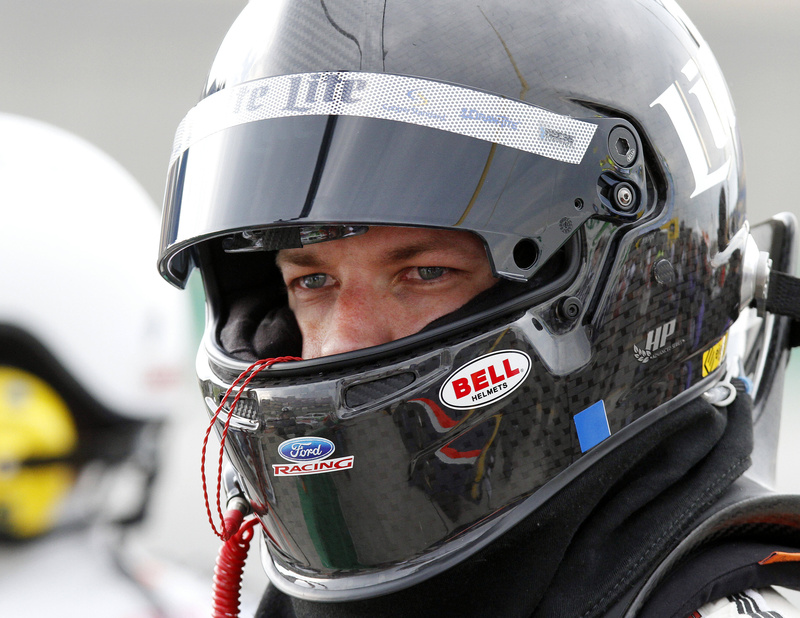 Keselowski earned his third pole this season and the sixth of his career. A day in which 23 drivers broke Dale Earnhardt Jr.’s year-old mark of 183.636 mph in the first round of qualifying alone ended with the 2012 race winner shattering it by more than 5 mph. Keselowski overtook Penske Racing teammate Joey Logano, who turned a final lap of 187.175 after blasting the record in each of the first two rounds. Later, Keselowski finished second to Kevin Harvick in the Nationwide race. After failing to pass Kyle Busch on an earlier restart, Harvick succeeded with another chance on Lap 196. His Chevy gained enough space from Keselowski, who rallied from 17th following a pass-through penalty with 50 laps left to finish second in a Ford. IndyCar overturned a penalty against Sebastien Bourdais because it did not have enough evidence to show he had done anything wrong. Bourdais was fined $10,000 and placed on probation for unsafe driving in the June 7 race at Texas. IndyCar this week reversed the penalty but gave no reason for the change. IndyCar is in Houston for the two-race Houston Grand Prix today and Sunday.